Most business owners do at least two of these things on a regular basis. Learn what NOT to do! We take social media off your daily “to-do” list so you can focus on doing what you do best – grow your business. posting to your social media pages doesn’t have to be one of them. Social media content, done for you, every single day. We know it’s not always easy to establish and maintain the social media presence for your small business. In fact, it can be challenging to find the hours or the know-how to make it happen. $99 Social offers social media content management to help busy entrepreneurs like you maintain a solid presence on social media, so that when your customers and potential customers go looking for you, you’re there. And you’re not just there, you’re there consistently, establishing your relevance, credibility, and approachability as a small business owner. So far I have been completely happy with your social media services. It has taken a lot off my plate for a reasonable price. Taking these little tasks off my plate has added valuable free time to create better content that allows me to share more meaningfully when I actually want to rather than scrambling to force it out every day. 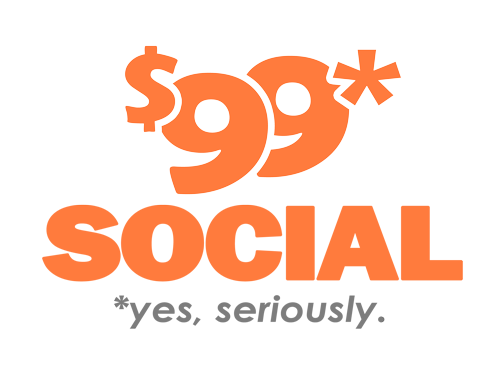 $99 Social is a great service that helped us get started on social media. I appreciated how wonderfully easy it was to utilize them. They did a wonderful job of understanding our business and posted visually compelling material for our audience. As we fine tune our digital strategy, we plan to engage $99 Social even more! 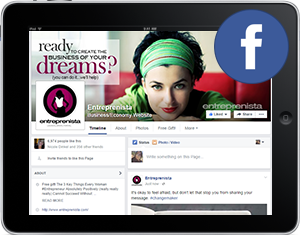 Discover what $99 Social can do for you and your small business. For one crazy low price – just $99/month – you’ll receive unique content created specifically for your business, posted once a day EVERY DAY to both Facebook and one network of your choice.† Never worry about missing a post again! †Network of choice options: Twitter, LinkedIn, Google+, or Pinterest. Instagram is only available as a Lite or Deluxe add-on. Top-notch support via email, phone, and chat. We’re here to help! All included for just $99/month! It has been a pleasure working with the $99 Social team. They have been handling my social media accounts for about a year. Excellent service at an incredible price. If you are looking to gain credibility on the internet, look no further. I am able to spend more time with my customers instead of at the computer. I have referred them to many friends and will continue to do so. Click on any Get Started button to begin the process. First, you’ll create an account, then you’ll enter your payment details on a secure page and complete your order. Check your inbox right away for your Getting Started email. Next, you’ll provide details about your business, products and services, and other information that will help us get to know you. You’ll also be asked to provide us with access to your social media accounts so we can start posting. Step 3: Let the posting begin! Sit back and enjoy. Here’s where the rubber meets the road. Within 2-3 business days of gaining access to your social media accounts, we’ll begin posting content to your pages. Then you’ll be free to focus on the parts of your business that need you the most. Still have questions about social media services for your small business? Who will be working on my small business social media accounts? A well-trained, dedicated Content Specialist will be the one finding and sharing content for your accounts. 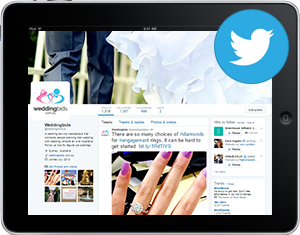 Our Content Specialists are just that – specialists in social media content. They spend hours scouring the web, searching for relevant content to share on your accounts. Their goal is to engage with your audience the way you would if you had the time. We’re big on taking ownership and responsibility for our work, and it shows in everything we do. All of our Content Specialists are native English speakers so your social media pages will look like you are the one posting day after day. How will you know what to post for my company? Once we receive your order, your dedicated Content Specialist will begin researching your industry, competitors, and target audience. By the time the first post hits your social media pages, your Content Specialist will know just what your audience is looking for. And that’s the key to effectively using Social Media! Can I still post on my own profiles? Of course! They belong to you, and you can be involved as much or as little as you’d like. What if I have specific products, promotions, or specials I want you to promote? Just send us an email with what you’d like us to share for you, and we’ll pass it along to your Content Specialist. Our friendly Support Team is happy to make sure your requests are handled just right. You can email specific instructions to [email protected] anytime, and we’ll do whatever we can to get them implemented quickly. We believe in earning your business month after month, so there’s no contract involved. You can cancel anytime you’d like. But we are confident you’ll love our service and want to stick around for a long, long time! Wait... I still have questions! We can help! Please visit our Help Center for more information about our company, services, pricing, and much more. $99 Social has helped my small business create a dynamic social media presence. They ably develop specially worded tweets and posts for my targeted customers and it is paying off for us. As a small business, this has helped us immensely since we are always in the field and have limited time to managed our social media accounts. They are easy to work with and very responsive to our requests for changes in the posting language. I have recommended them highly to many other small business owners and will continue to do so. Questions? Get in touch with our friendly support team! Click to Schedule a Call! *14-day money back guarantee does not apply to: Facebook or LinkedIn ads, blogs, page creation, or Reseller subscriptions. Improve Your Social Media Engagement by avoiding these 6 bad habits. Get instant access to tested tips for improving your social media campaign in no time. Sign up to get access to your FREE e-book: 6 Social Media Habits to Avoid at all Costs!